They Are Billions is an amazing real-time strategy game by Numantian Games. The game is set on a post-apocalyptic planet. After a zombie apocalypse destroyed almost all of human kind, there are only a few thousand humans left alive that must struggle to survive under the threat of the infection. Billions of infected roam around the world in massive swarms seeking the last living human colonies. Build dwellings and acquire food for the colonists. They will come to live and work for the colony. Collect resources from the environment using various building structures. Upgrade buildings to make them more efficient. Expand the energy distribution of the colony by placing Tesla Towers and build mills and power plants to feed the energy to your buildings. Build walls, gates, towers, and structures to watch the surroundings. In the Pause Mode, you can pause the action to take the best strategic and tactical decisions. In the campaign mode, you have to help the surviving humans to reconquer their country. There are dozens of missions with different goals: building colonies, tactical missions, rescue missions. 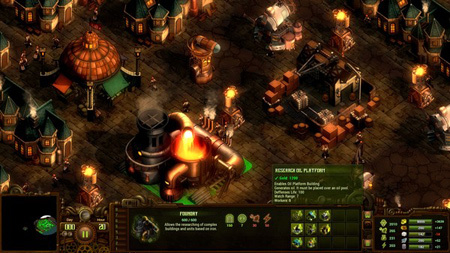 The game features ultra high definition graphics with a crazy Steampunk and Victorian style. If you get stuck in the game, check out the video walkthrough and gameplay for the game. This entry was posted in Android Games, iOS Games, Mobile Games, Walkthrough and tagged They Are Billions Cheats, They Are Billions Gameplay, They Are Billions Guide, They Are Billions Hints, They Are Billions Review, They Are Billions Solutions, They Are Billions Strategy, They Are Billions Tips, They Are Billions Walkthrough by Marvin. Bookmark the permalink.